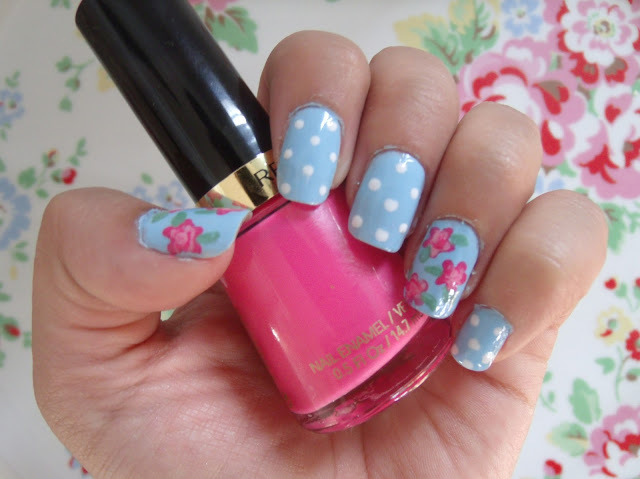 A year ago I had a go at my first Cath Kidston nail art and I was really pleased with the results! But for a whole year since, I hadn’t tried them again! So last week I gave them another go, and this time I think they came out even better! I really, really love my nails with this design, which probably doesn’t surprise you, as I love anything floral and polka dot! These nails are really simple to do if you have nail art brushes (you can buy a set of 6 for only £1.40 and I really recommend them!) and a dotting too. I gave my nails a coat of NYC Raindrop, and then on 3 of my nails I used a white nail art pen to do little polka dots all over. 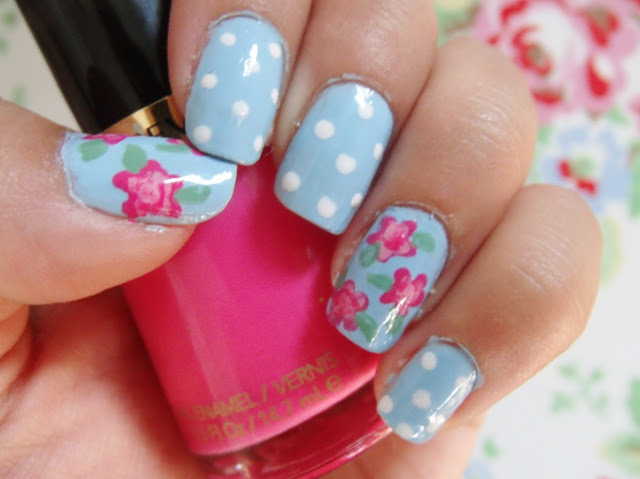 I love polka dot nails!! Then on the two remaining nails, I used a hot pink Revlon polish to do little 5 petal flowers. Then inside the flowers, I did a spodge of Collection 2000 candy floss pink, and then a tiny dot of the hot pink. Then I drew on some little leaves using Ciate Apple and Custard. I finished them off with a layer of Seche Vite Top Coat, and here they are… Cath Kidston nails!! Your nails look lovely! If I tried to do this, goodness knows how they'd end up! that is so pretty! I probably wouldn't have the patience haha. but seriously great job! Oh wow. This is so pretty! To me it looks like a rather successful attempt. They look great! Aw they look so cute, wish I could do things like that! 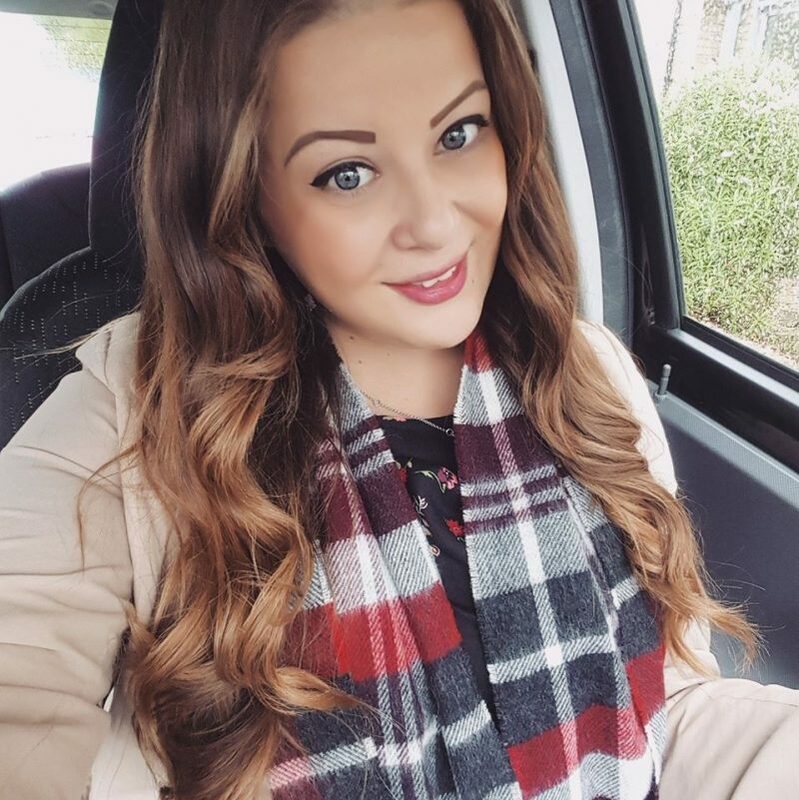 I'm currently doing a giveaway on my blog, you can win a lipstick! Your nails are such a mess, I'm unfollowing you. LOLJK, these are cute, do mine next time I see you! I'm useless with one colour, let alone nail art. I want my nails like this, so gorgeous!